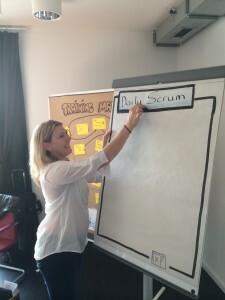 Shortly after joining Scrum Sense in February this year I started my journey to become a Certified Scrum Trainer (CST). The process includes co-training with other CSTs around the world, so that I can get feedback to improve and, once I am good enough, I can get their recommendations that are essential to acceptance. 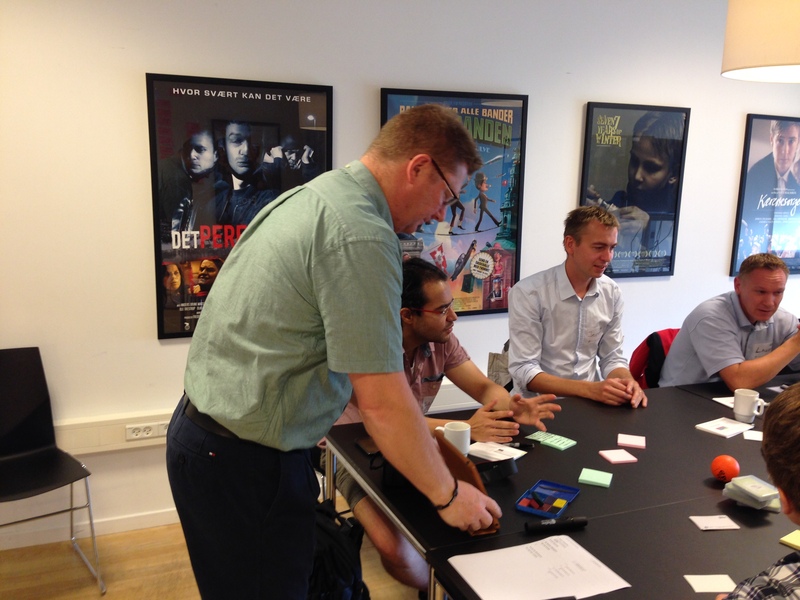 For the past week I have been lucky enough to travel around Europe and co-train with some of the top CSTs and CSCs (Certified Scrum Coaches) in Europe. It has been a wonderful experience for me. My trip started in Copenhagen, where I spent a wonderful two days with Carsten Feilberg, a friend and an incredible tester. We spent time refining our workshop for Let’s Test Oz where we will be presenting on Communicating Complex Information in Sydney next Tuesday. We have been designing the workshop over mail and Skype for the past couple of months and being together once more re-enforced the Agile principle that face-to-face communication is the best kind. We have come up with a great design and I am really looking forward to our session. My next stop was Aarhus also in Denmark. There I met up with Bent Myllerup, a very experienced CST and CSC with agile42. 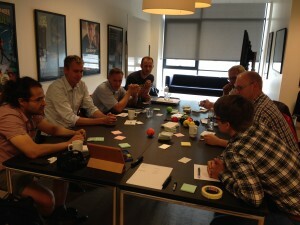 I spent two days co-training a public Certified Scrum Master (CSM) class with Bent in Denmark. Lucky for me the course was delivered in English. We had eight participants and received wonderful feedback. I was able to train some of the modules and learned some new techniques from Bent. I love being in a fresh context, because I can always learn new things and see how different people understand and take in information. It's also interesting to see the European adoption of Agile, the different industries that are beginning to understand the value of empirical process control and fast feedback loops, and working with teams instead of individuals. Bent speaks about a truck factor which I thought was a novel way of illustrating the point of resilience. The track factor is the number of people in a team that, if they were hit by a truck or won the lotto and left, the project would have to stop. So if you have only one key team member that knows everything and that information is not shared in some way with the team then you have a truck factor of one. A higher truck factor is better than a lower one. What is the truck factor of your teams? From Denmark I went to Berlin. Berlin is an amazing and crazy city. I arrived early on Saturday morning. Half of the city hadn’t woken up yet and the other half hadn’t been to bed. I was lucky enough to get to explore and see some of the sights. Sunday evening I met up with Andrea Tomasini, another very experienced and talented trainer and coach from agile42. We ran through our course plan for another CSM class on Monday and Tuesday. I got the opportunity to see Andrea in action and to train some of the course modules. 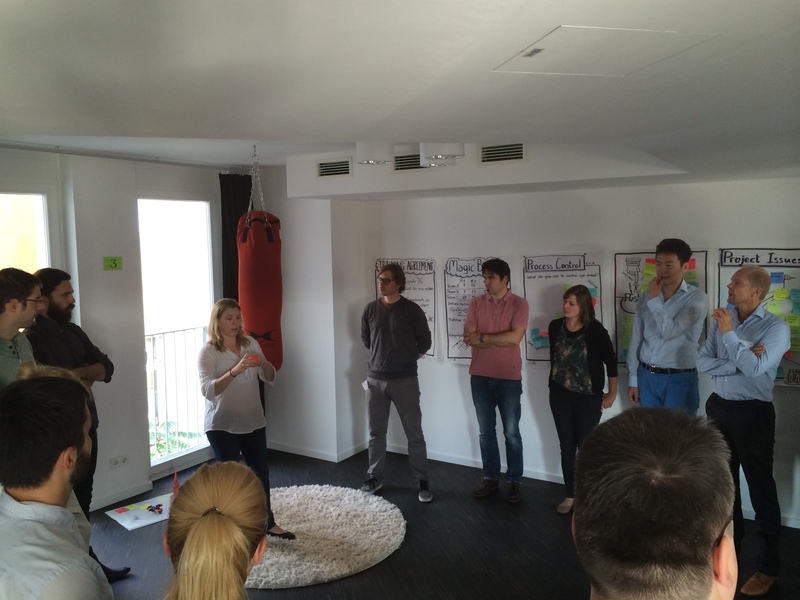 I really enjoyed the way that both trainers focused not only on Scrum, but also on how important it is to be Agile. Transformation is difficult and changing your mindset early on is important. It’s also interesting to see how many companies both in South Africa and internationally have similar problems. We had 20 participants from all different backgrounds from gaming to building of aeroplanes. 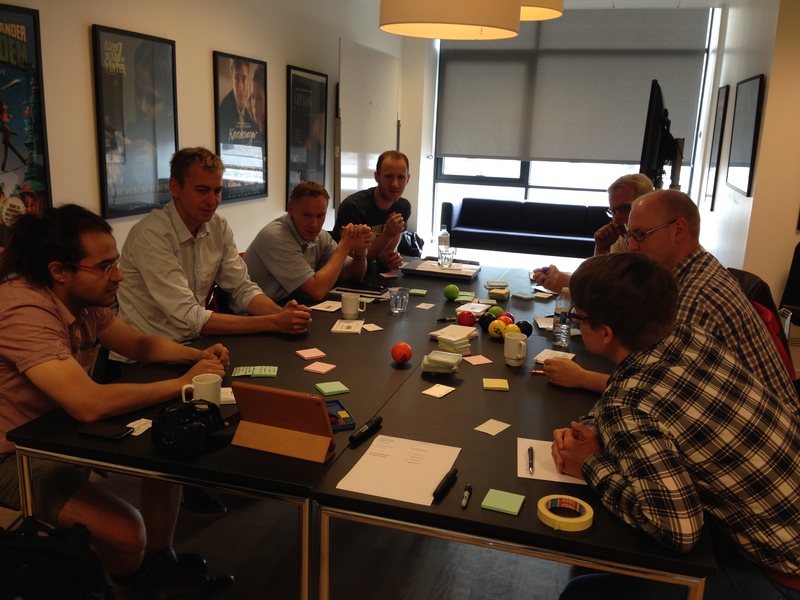 Who said Agile is just for software? It's amazing to see how many different contexts are interested in the principles and values of Agile and Scrum, and how many people are really keen and eager to learn. The Training from the Back of The Room approach also helps to encourage people to learn on their own and creates an atmosphere of excitement and energy. All in all it was an amazing experience. I had the opportunity to work with some great coaches and trainers and to learn new things that I can bring home. I love how supportive and encouraging our community is, both in South Africa and internationally. This is a long and tough journey and I feel that this trip has really helped to get me to the next level. I am looking forward to co-training the next CSPO course in Johannesburg with Peter starting 30 September. Maybe I will see you there. If not I’ll be speaking at the Scrum Gathering in Cape Town in October, or maybe I will catch you at Let’s Test in Australia next week!